It’s a major blow when you lose a loved one, even in the event that you know it’s coming. 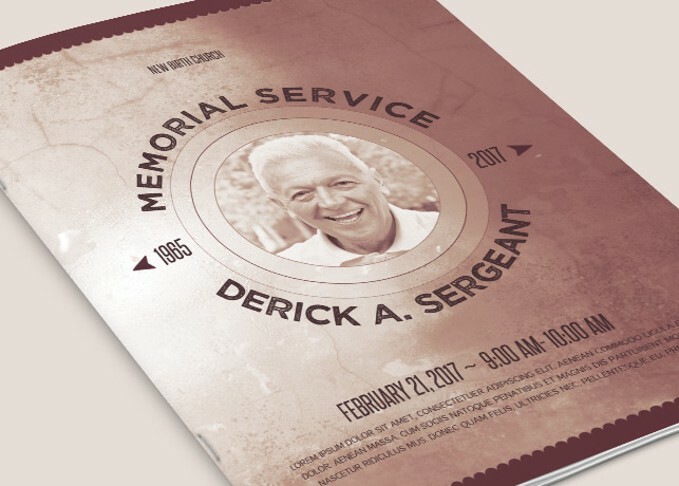 Despite this, if you’ve taken the task of being in charge of the memorial program layout, you have a responsibility to get it done in such a way that will honor the memory of the person you’ve lost. Thankfully there are support systems out there to aid you in this endeavor. 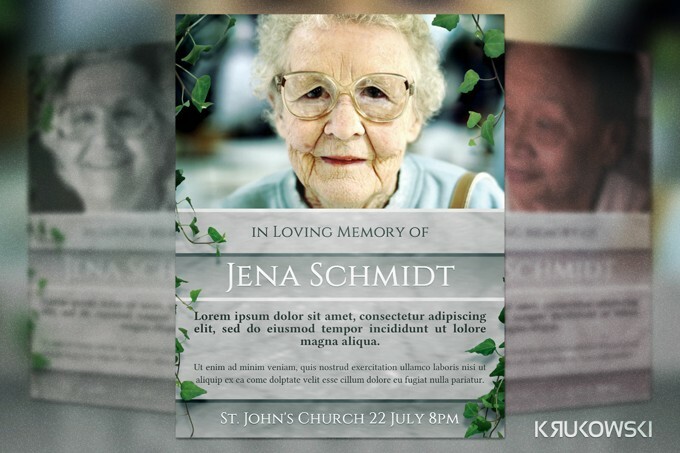 One of them is to use a funeral template that you can use to put together the program easily. When you’re in mourning, you’re not exactly thinking clearly. 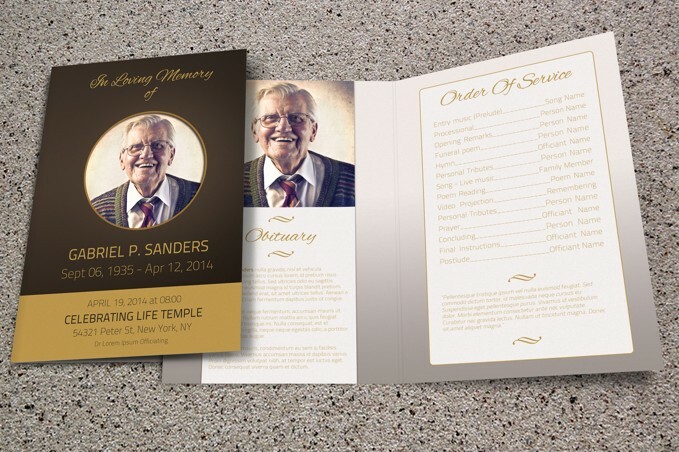 You shouldn’t be spending time agonizing over the font you should be using for your memorial program or any other such nonsense, but you need to put the program together in time for the memorial or the funeral service. You need to take care of your responsibilities. 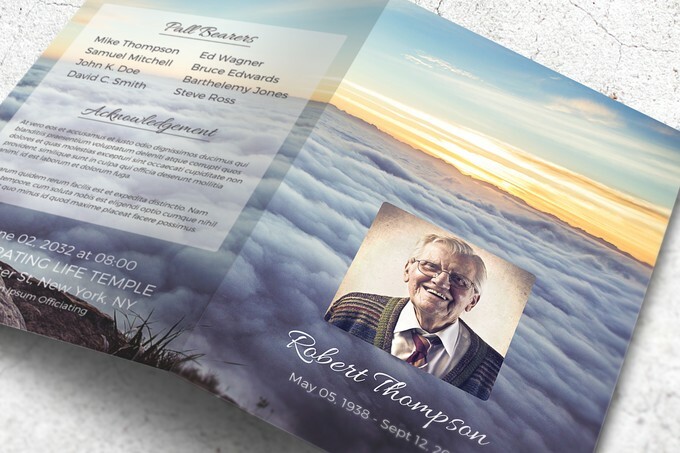 This is where using a memorial template or a funeral template will help you get through the task as easily as you possibly can as you grieve. 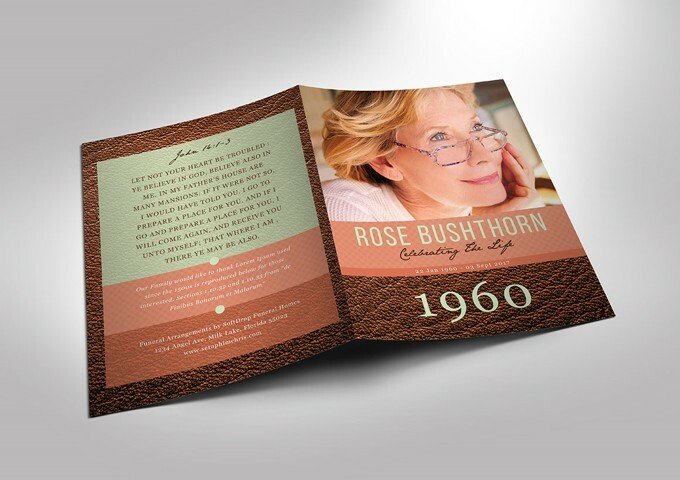 There’s absolutely no reason to design a memorial program from scratch, as that’s simply too much to ask anyone to do in the wake of the loss of a loved one. 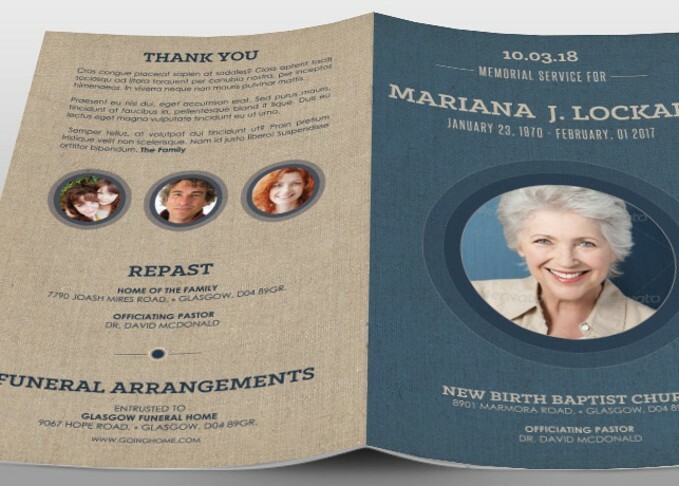 There is any number of memorial program templates editable with Photoshop and some with Microsoft Word that you want to use to populate with the personal details of the deceased, the name of the person giving the eulogy, or any other important details that are part of any memorial program. 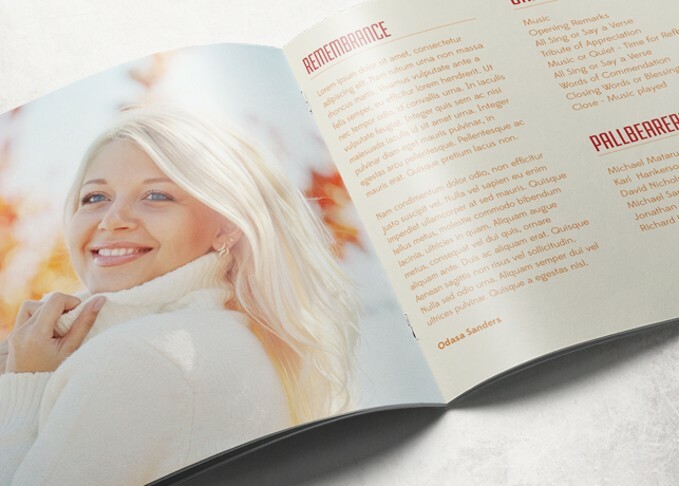 Using a template lets you complete the necessary task quickly so you can focus on much more important things. 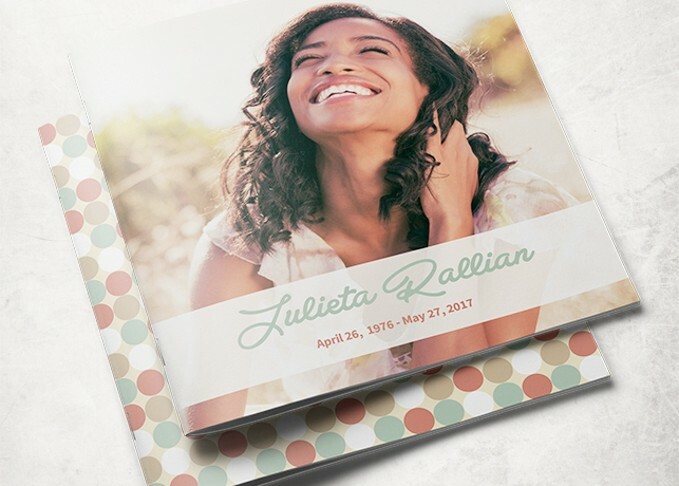 A funeral or a memorial service is important for those left behind as it commemorates the passing on of a loved one, but it’s just as important to celebrate the life of the individual that is no longer with us. 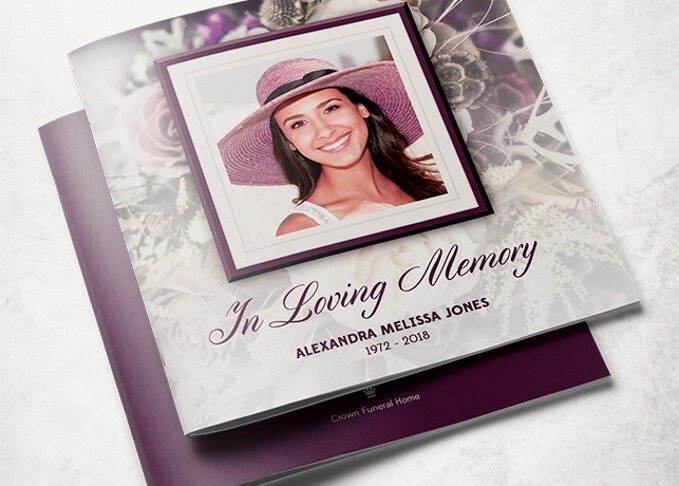 Programs for memorials need to reflect that important aspect of grieving and choosing an appropriate template is easy thanks to the sheer number of choices out there for you. 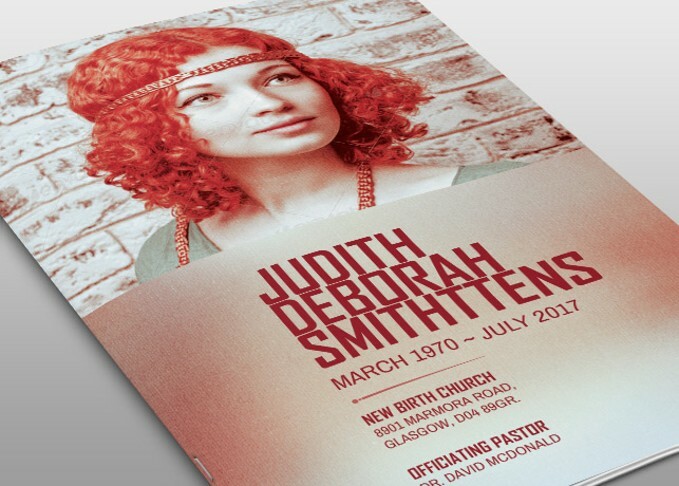 It’s easy to select a template that will have space for more than just a picture and a short biography; a memorial is more than just an obituary. 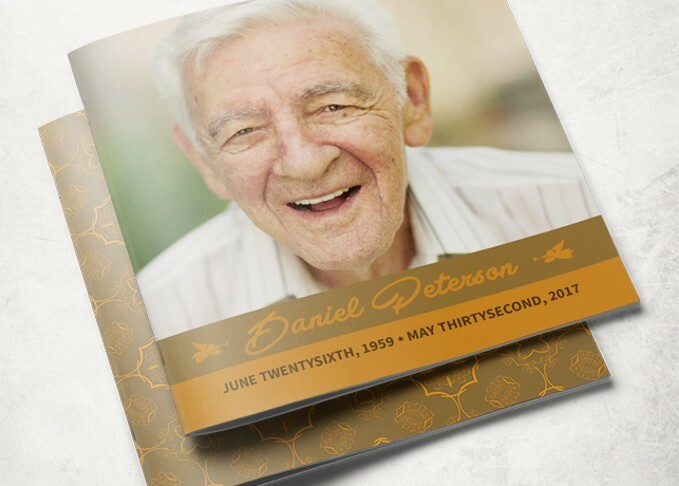 Celebrate the life of your loved one by including information on how they lived their life – you can fill a memorial program with fond memories and pictures that show the kind of life they lived and how many people they touched. 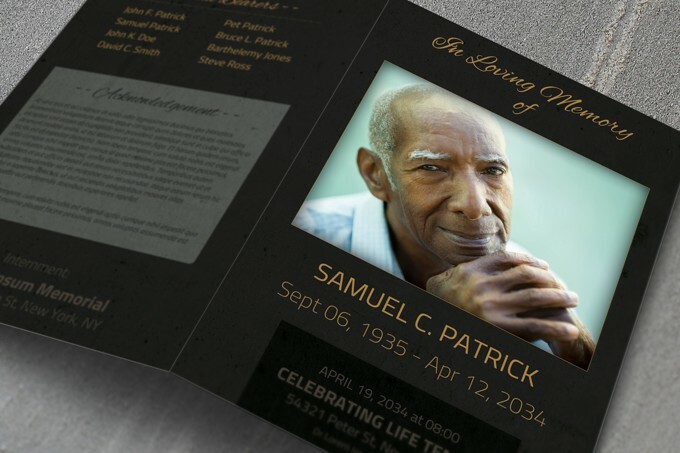 Finally, don’t forget to provide some space to highlight the deceased’s surviving relatives. 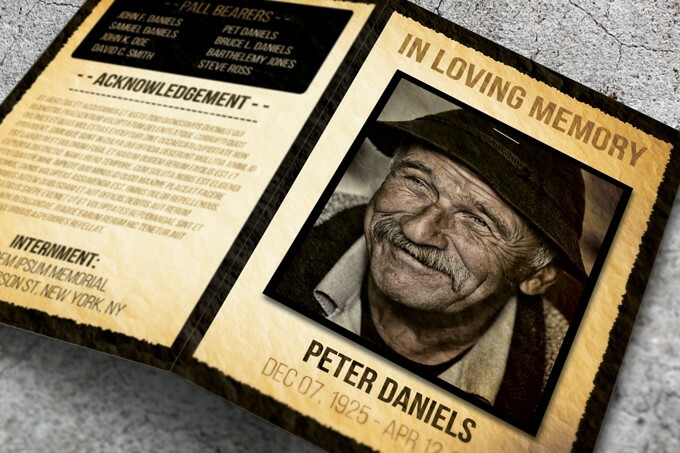 Some will even list favorite pets for those who were especially fond of their pets in life. 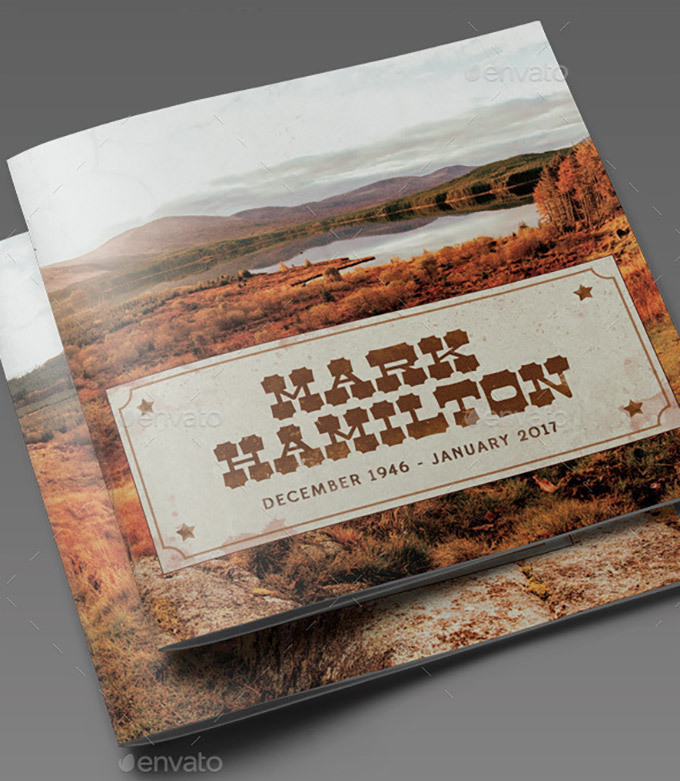 Whatever you do, rest assured that you’re doing your best to remember the person who’s gone in the best way you can.